· Silicone rubber coated fiberglass sleeve (firesleeve), AS1072 aviation firesleeve, firesleeve with velcro, SnapSleeve and EAF Cable Cover Sleeve and jacket is used by companies and manufacturers worldwide to protect critical hydraulic hoses, lines, wiring and cables from heat, flame, pyro molten metal splash, slag, welding splatter grinding sparks, contamination, ozone, UV and abrasion. Fabricated from a thick braided heavy-duty fiberglass sleeve plus the added protection of a thick layer of high-temperature silicone rubber. 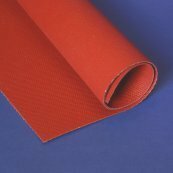 Provides thermal insulation to hot and cold pipes and hoses. High temperature, heat, flame & pyro resistant silicone rubber coated products such as firesleeve jacket withstands Molten Metal Splash & Welding Splatter, 500°F / 260°C continuous exposure; 2200°F / 1205°C for periods up to 15 minutes and short excursions to 3000°F / 1650°C. 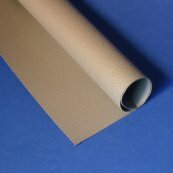 In addition to protection, firesleeve, tape and fabric also provide an insulation value of approximately R2. · For Class H and Class C wiring protection, our fiberglass ThermaSleeveä with smooth silicone rubber coating withstands 260°C continuous and peaks of 290°C. Available in 6 wall thicknesses for electrical dielectric strength of 2kV to over 10kV. UL 1441 / CSA C22.22 listed. May also be used for hose protection. · Silicone rubber coated fiberglass fabrics are used to protect hydraulic hoses, lines, wiring and cables from heat, flame, molten metal splash, slag, welding splatter grinding sparks, contamination, ozone, UV and abrasion. Fabricated from a fiberglass base fabric plus the added protection of a layer of high-temperature silicone rubber. High Temperature and Heat Resistant. · Silicone rubber coated fiberglass rope and fabric products are used by companies and manufacturers worldwide to protect critical hydraulic hoses, lines, wiring and cables from heat, flame, molten metal splash, slag, welding splatter grinding sparks, contamination, ozone, UV and abrasion. Fabricated from a thick braided heavy-duty fiberglass sleeve plus the added protection of a thick layer of high-temperature silicone rubber. until exposed to air, when it cures rapidly into a flexible protective covering of silicone rubber. wicking liquids such as water, oil, hydraulic fluid, etc. Usually used as a dip for sleeve and rope. Noncorrosive and meets Mil-A-46146 as per NAVAIR 01-1A-20.